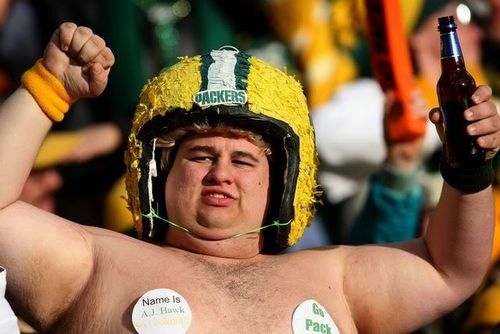 Packers Fan roots for Packers on Monday Night. Packers lose to Vikings on Monday Night. Packers Fan stabs Seahawks fan. 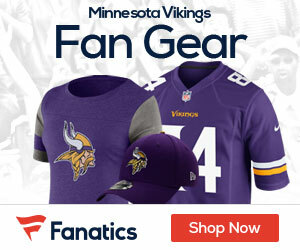 The heated match-off between the Green Bay Packers and the Minnesota Vikings on Monday night was apparently too much to handle for one Packers fan, who allegedly stabbed a man outside a Minneapolis restaurant after his team lost.Ryan Andrew Hinderaker, 30, of Minneapolis, has been charged with second-degree assault in connection with the incident. Hinderaker allegedly stabbed 41-year-old Leif Heide outside the Leaning Tower of Pizza on South Lyndale Avenue, after trying to engage in an argument about the game. Minneapolis Police spokesperson Sgt. William Palmer said the incident has left some officers puzzled, as Heide was a Seattle Seahawks fan. Hinderaker allegedly followed Heide outside, pulled a knife out of his right pants pocket, and stabbed the man in the stomach. Palmer said that Hinderaker had left the scene by the time officers arrived, but he later called 911 and turned himself in. Police searched Hinderaker and found the knife in his pocket, according to the criminal complaint. Heide was transported to Hennepin County Medical Center where he underwent surgery. This doesn’t bode well…the way the Packers are playing, stabbings will be falling from the sky. Hide the women and children on Sundays…just to be safe. Thanks for stopping by Tomb!